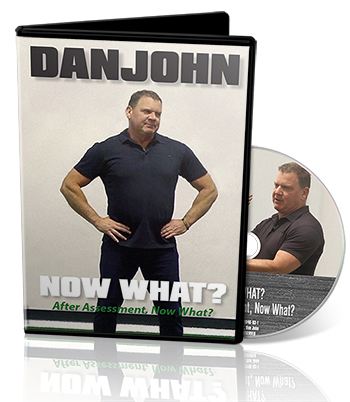 Dan John on the importance of programming checklists and calendars as he humorously tackles the fitness industry’s superficial view of time and commitment. When we slide over to this other area of fitness, most people want to talk about programs. That’s my knock first and foremost on the whole fitness industry. Two weeks to a tighter tummy. Big guns in 14 days. What do you do on day 91? I have been lifting weights since 1965, how many six week blocks is that? I don’t know. I don’t do math, but that’s a lot. We don’t think like that with anything in life! Yet, when we get to fitness, six weeks, two weeks, 90 days, 180 days. I’m not against it. For me, if we’re going to program, I believe in two things, checklists and calendars. Calendars are very important. If you’re working for the professional team, the calendar runs everything, where you’re supposed to be, where you’re supposed to go. Check lists are the other thing. You see this all the time. People are convinced here I’m going to start today, and I’m going to start this program, and if it’s PR94.2, in 90 days, if I can do it, you can do it. You know what happens with most fitness programs, right? We use it like two days. Consumer reports about treadmills: Average use of a home treadmill is 7.2 times. No one follows up on any of this stuff. Click for information on and more sample clips from Now What?